MacBook Pro vs. Dell XPS: Is MacBook Pro Worth the Dough? Apple unveiled a completely refreshed line of MacBook Pro laptops this week. The new MacBook Pros have a variety of improvements over their predecessors, and some unique features only available from Apple. But, as with all things Apple you will pay a premium for having the half-eaten fruit logo on the case of your laptop. 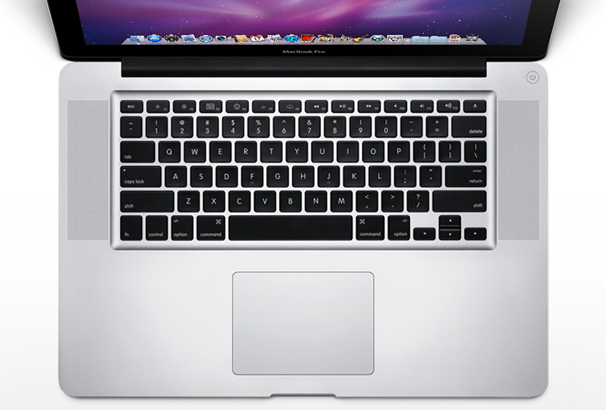 First--a brief summary of what is new and improved in the MacBook Pro lineup. The MacBook Pro series is now built on Intel processors from the Sandy Bridge line, including quad-core Core i7 processors for the 15 and 17-inch models. They have improved Facetime HD webcams for video chat, the new Intel connectivity platform Thunderbolt (formerly known as Light Peak), and an SDXC card slot which is capable of addressing 2TB of SD memory (if such a thing exists someday). The bonus is that Apple made all of these performance improvements and feature additions without changing the base price of the various MacBook Pro models. Not too shabby. I feel a bit sorry for a friend of mine who just bought two MacBook Pros a couple weeks ago. Missed the boat on that one. All of that sounds great, but if you are standing in Best Buy trying to make a purchasing decision and weighing out the specs of different laptops to determine which is the best value, the MacBook Pro is unlikely to come out on top. Let's compare the 15-inch options. If you filter the options on the bestbuy.com Web site to narrow down the base specs--quad -core Core i7 processor, 4GB of RAM, and a 500GB hard drive--you get eight different laptops that fit the description. They start at $830--less than half the base price of the 15-inch MacBook pro, and some of them come with 6GB of RAM rather than 4GB. The Dell XPS laptop has more memory--with 6GB, and more storage capacity--with a 640GB hard drive, than the base 15-inch MacBook Pro. It has a recordable Blu-Ray drive, NVidia graphics with 2GB of memory and HDMI output, a 9-in-1 card reader slot that is SDXC capable, a 2MP HD webcam, and two USB 3.0 ports. It is only 1.3 inches thick, weighs in at just under six pounds, and costs $1150. The 15-inch MacBook Pro has a faster core i7 processor, and is both thinner--at only one inch thick, and lighter by a couple ounces. It does have the aforementioned Thunderbolt port, but there are virtually no devices available to take advantage of that yet, while there are tons of USB 3.0 devices out there. Aside from that, the two laptops seem fairly evenly matched--except the MacBook Pro is $1812. The MacBook Pro has a couple other advantages. For those who abhor Windows and/or love Mac OS X, it obviously wins in that department. It also has the upper-hand in that you can dual-boot Windows 7 or run Windows 7 in a virtual PC on the MacBook Pro, but you can't do the same with Mac OS X on the Dell. I'll be honest. I have really, really been looking at the MacBooks--both the MacBook Air and the new MacBook Pro line. That ability to run both Mac OS X and Windows 7 would be valuable to me. But, on paper I just can't justify the MacBook Pro purchase. For the same money I can buy the Dell XPS laptop and a Mac Mini. If I am standing in Best Buy looking at these two laptops, I am going to take the Dell and keep the extra $700 every time. Dell's latest XPS 17 offers a solid gaming experience coupled with a keyboard and ample storage, but the lack of 1080p resolution seems odd.